Schooner Trace. Sitting right there for all to see in the IMBA Epic-ed Brown County State Park (BCSP), it’s a trail little traveled due to its word-of-mouth reputation. Make no bones about it, Schooner has gnarl that ranks up there with anything on either coast of the contiguous United States. 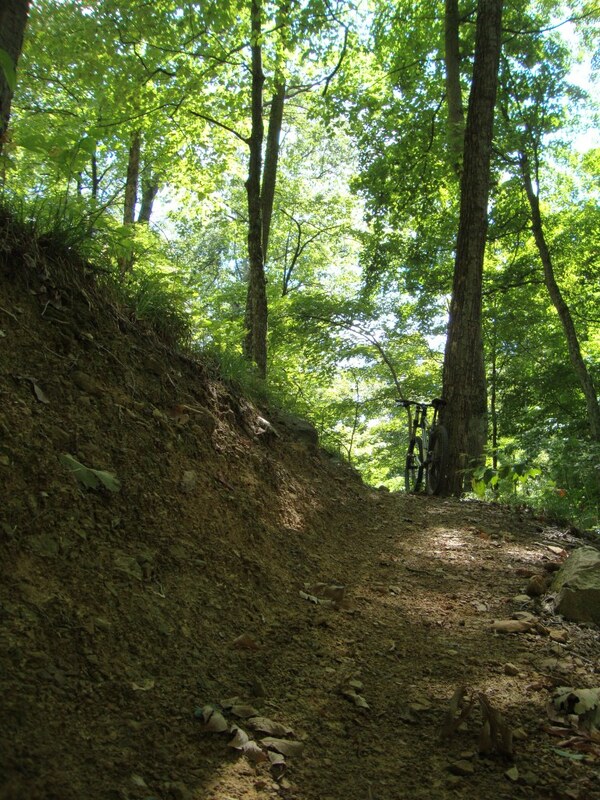 What’s perhaps lesser known is that much of the trail that meanders between the two trailheads off of Walnut is classic BCSP flow, some backcountry buttery smooth flavor where the deer play amongst the intermittent rock gardens and ledges that mountain bikers attempt to ride through and over, seeking a smile on the face not gained by riding all the other BCSP offerings. I was last on Schooner riding a big-wheeled, one-geared, steel hard-tailed bike. 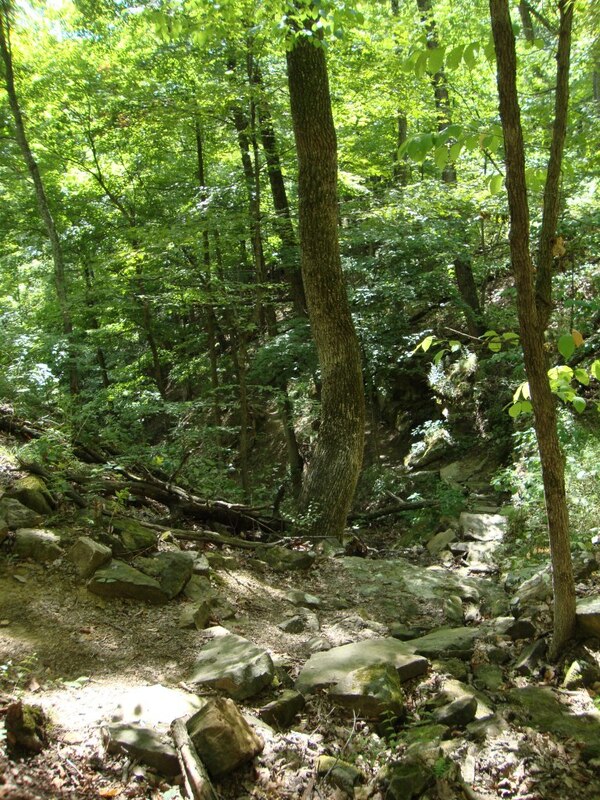 I exited the one-way ride that time around thinking that the next time I rode Schooner, I wanted to go back-and-forth a few times, an attempt to get to know the trail, both ways. This time around, a Sheltowee Trace plan that fell through had me driving south from Indy after a work-day meeting with the full-squish locked into the roof rack. Three times back-to-back round trip, I went. Along the way, unfortunately, I encountered only one other rider. I say “unfortunately” because Schooner deserves to be ridden, hike-a-biked, attempted, respected, enjoyed by more mtbers. Having to get off your bike to scoot around a rock feature is okay. Maybe by doing so you’ll see the line. Maybe you will be with friends and will stop a moment and think and then say, “let’s session this a little bit.” A big log crossing might seem unrideable until you attempt it, throwing your confidence to the wind a little and going with fear and uncertainty, yet not having thrown all your confidence to the wind, all combining at the apex on the “x” and “y” axes–fear and confidence smashing together–resulting in “flow.” It’s not the “flow” of Aynes or Limekiln, though. Starting in on Schooner on the side closer to the campground, I cannot get enough of that entry and the first couple hundred feet. The parade of rock obstacles, if you want to call them that, are a dream for anyone that enjoys technical riding. The dream is then followed by smoother riding that brings you to the “staircase,” as I call it. 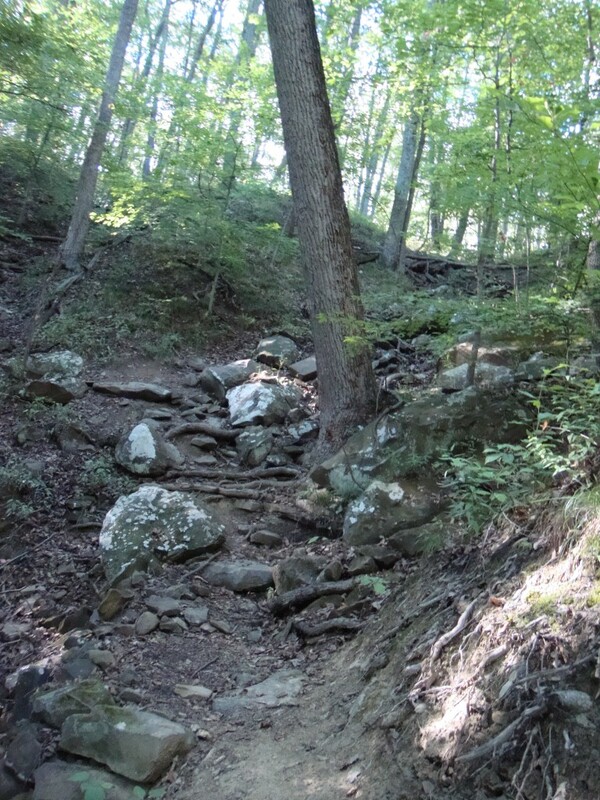 I was offline the first time through, but pointed the Lefty down and rolled on through that section of western-most Appalachian mtb-like trail the next two times. Appalachia? I’ll go there. 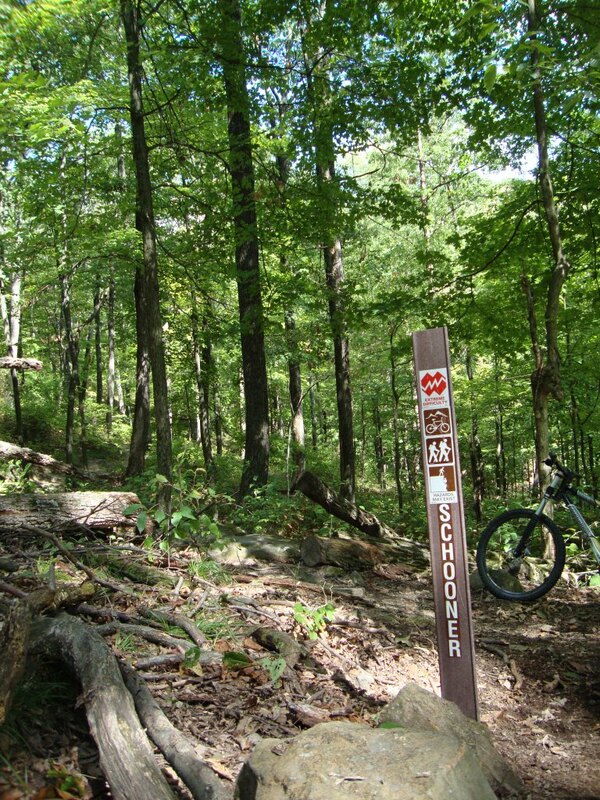 From Pisgah to the Mon to Michaux to Shenandoah, the trail called Schooner, with its grit and rock, steep drop offs and technical mayhem, along with fast curves, is for me, Appalachian cross-country mtbing. The Schooner Yo-yo is the way to go if you’re hankering for some tough stuff. If you’ve not ventured out on it, go for it. I’m pretty sure it won’t be as unrideable as you thought it would be. Remember: there’s no need to ride a section if you’re not feeling it. Hike-a-bike is MTBing too. If you hated it the first time through, ride it the other way. You might like it better the “opposite” way. I did! I pick myself up off the dirt. My bike is upside down. Damnit, I think. I cleaned this part the last time through. Ugh. Oh well. I chew on some energy bar that doesn’t taste good. I spit it out. I take out a candy bar. It satiates. I pick up my bike, and my ego, and clip back in. I pedal on.